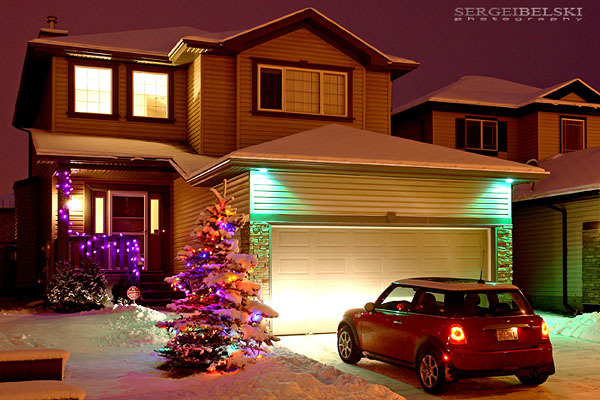 Took my annual photo of our home in Airdrie this evening... 11 years now... MERRY CHRISTMAS everyone!!! Take a look at my previous photographs from 2016, 2015, 2014, 2013, 2012, 2011, 2010, 2009, 2008 and 2007. Took photographs of people enjoying Zoolights at the Calgary Zoo. It was way too dark this year without any snow. Took a few photographs at a hockey arena renaming ceremony earlier today for the City of Airdrie. 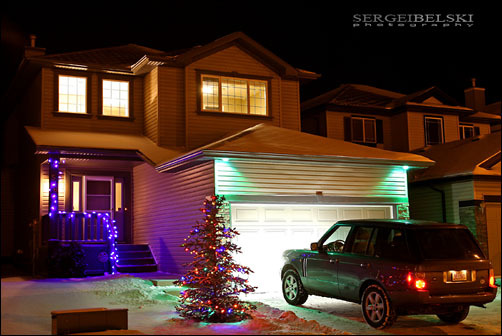 Some people go all out when decorating for Christmas :) Here are a few of my photographs I took for this issue of Airdrie Life magazine.